Deke Dickerson is renowned as a hillbilly music fan. Sadly, he rarely plays the very authentic, under produced Barnyard Boogie style. Thankfully, here in Walldorf, the floating lake stage will be converted into ‘Dekes Shotgun Shack’. Get ready for a full load of hillbilly entertainment. Hair Waving, Hip Shakin’, Beer Spilling, Foot Stompin’ Rockabilly. 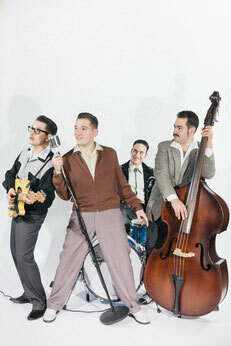 In Franconian Ebelsbach region, the people love hot rockabilly. This is where Marc and The Wild Ones started a few years ago, and they have quickly gained internationally fame! Their sound is wild, fresh and pumps a lot of adrenaline into the blood. In addition, the four boys make a damn cool figure on the stage. A fantastic rhythm ‘n’ blues voice reminiscent of Jackie Wilson and Nappy Brown, offering an energetic stage show with a big band sound. With this, Si Cranstoun has established himself as a top act at the 1950s dance festivals. We are happy, if Si in Walldorf sings his hit "Dynamo". German-Norwegian Teddy Boy Rock 'n' Roll, as sharp as a razor. 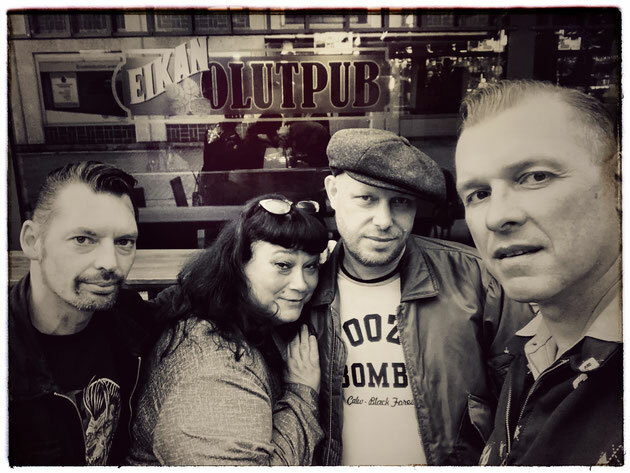 When Norwegian and German Teddy Boys get together to form a band, it can only be an explosive mix. What began as a studio project developed into a great live act from the very first rehearsal. 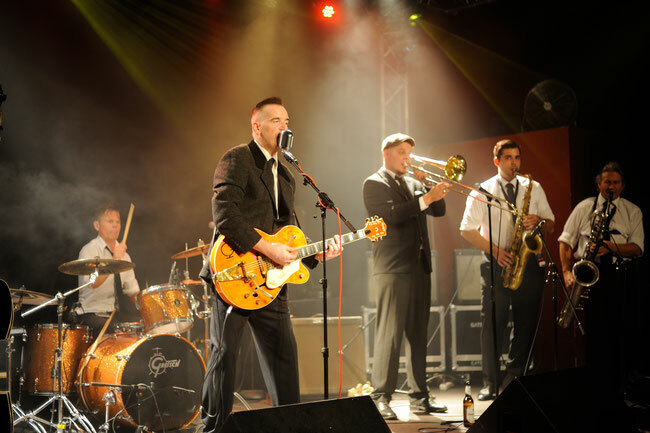 Johnny Knife and His Rippers will give a taste of this in Walldorf. 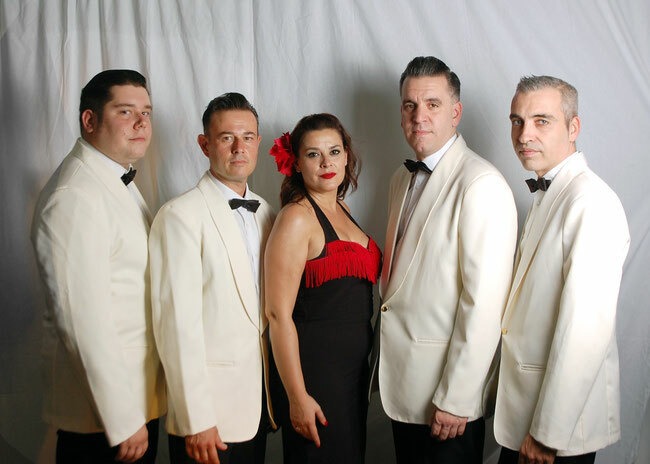 Finest rockabilly and honky tonk from Bella Italia. Sicily is hot and so is the music of the Don Diego Trio. The trio are proficient with a tight-rhythmic rhythm section, accentuated with a casual unruffled twangy guitar. The result is a mix of classic Rockabilly and Trucker Twang à la Junior Brown. Enjoy and be happy with Don Diego. Roots, Rock 'n' Roll with the voice that melts both women and men's hearts. Wow, the singing voice of Johnny Depp in the John Waters movie ‘CRY BABY’ comes to Walldorf! James Intveld has been deeply rooted in the Californian roots-rockabilly and honky-tonk scene since the 1980s and has become a legendary performer. You can look forward to a musical and atmospherically extraordinary show. Rock'n'Roll from the land of the Midnight Sun (ex Teencats). Die-hard Teddy Boy fans will remember the Norwegian 80's cult band The Teencats. After the bands demise, two thirds of the Teencats have teamed up with guitarist and vocalist Freddy Fox. 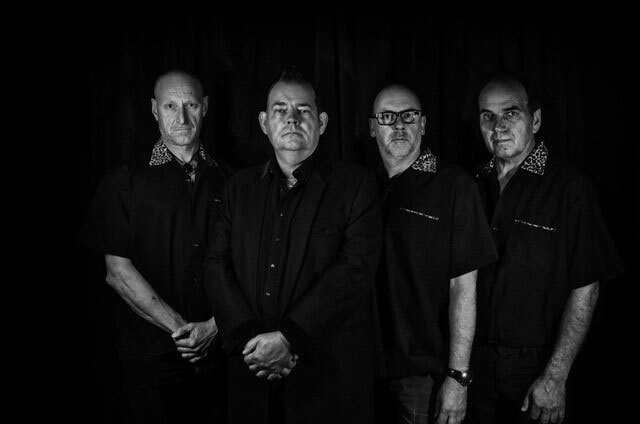 The boys have left their ’troubles’ behind and over the years sing their rock-solid Teddy Boy Rock 'n' Roll revival sound.